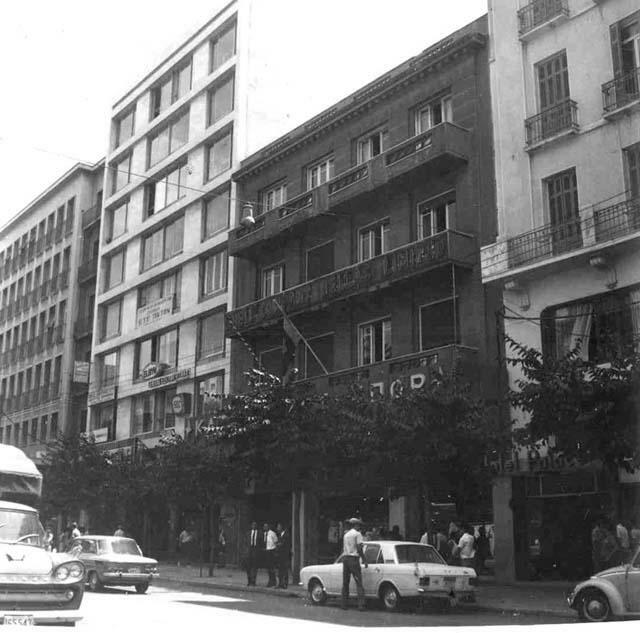 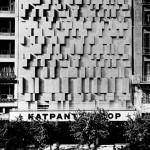 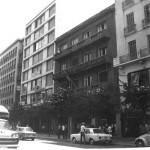 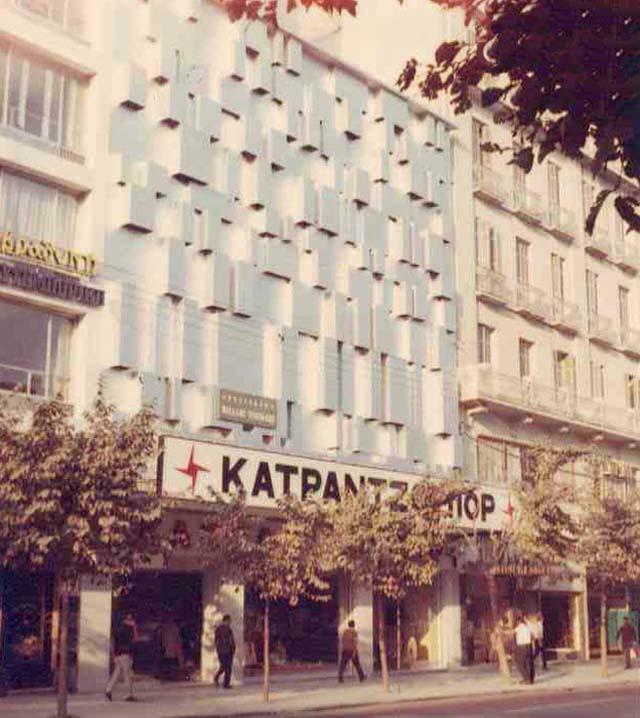 The Thessaloniki store occupied a whole existing building on Tsimiski Street when the Katrantzos family decided to refurbish it in 1969. 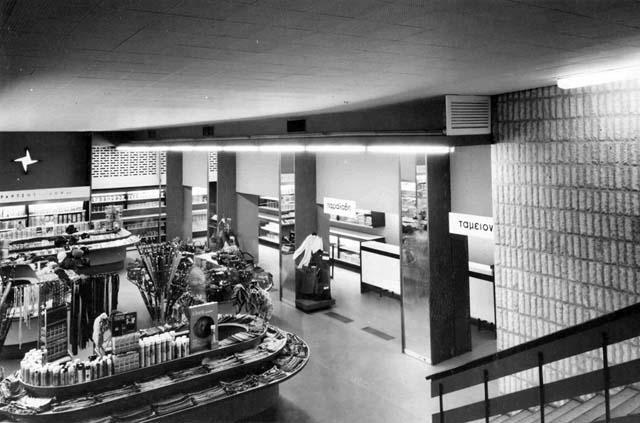 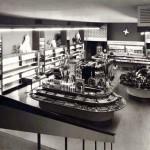 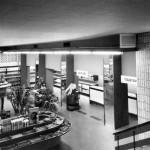 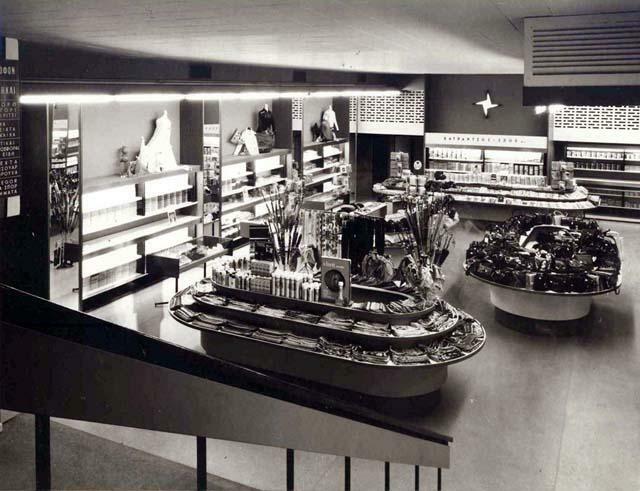 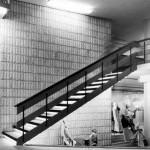 The department store was over 3000 sqm consisting of a ground floor, three floors above and basement. 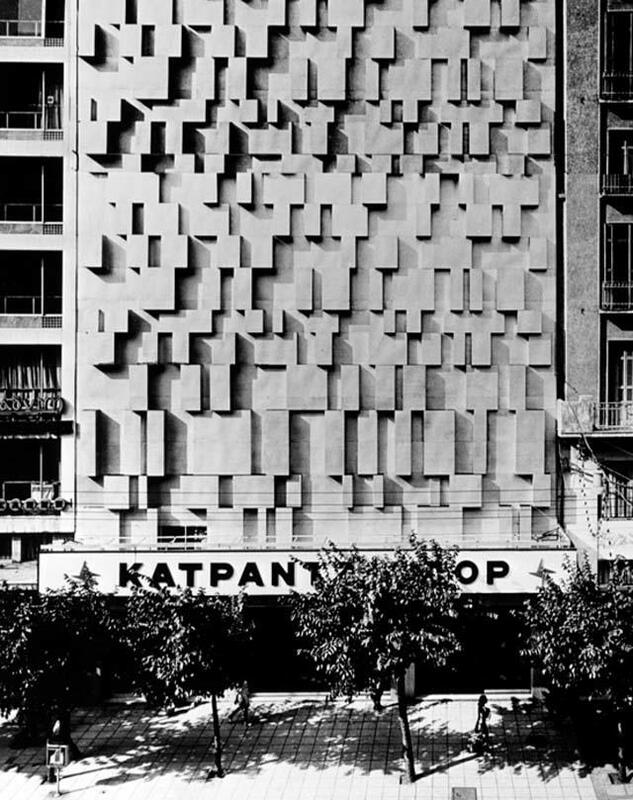 Architect Michael Photiadis essentially studied the elevation with a complete cover of the existing facade with an aluminum structure. 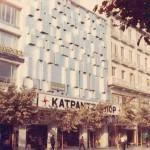 Anodized aluminum of natural silver color was cut in uneven horizontal stripes with small vertical folds. 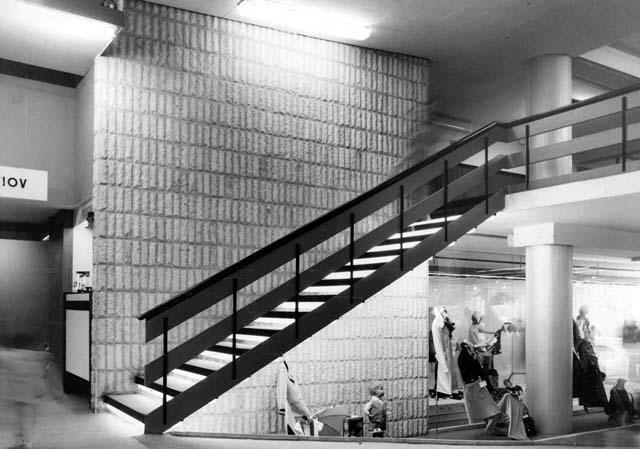 The elevation idea, says, was influenced by the architect’s sculptural studies during his graduate studies at MIT. 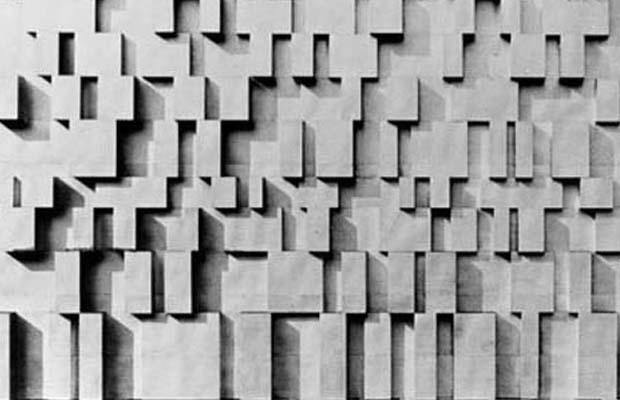 The elevation creases created an interesting shadow play changing through daylight or nightlight.